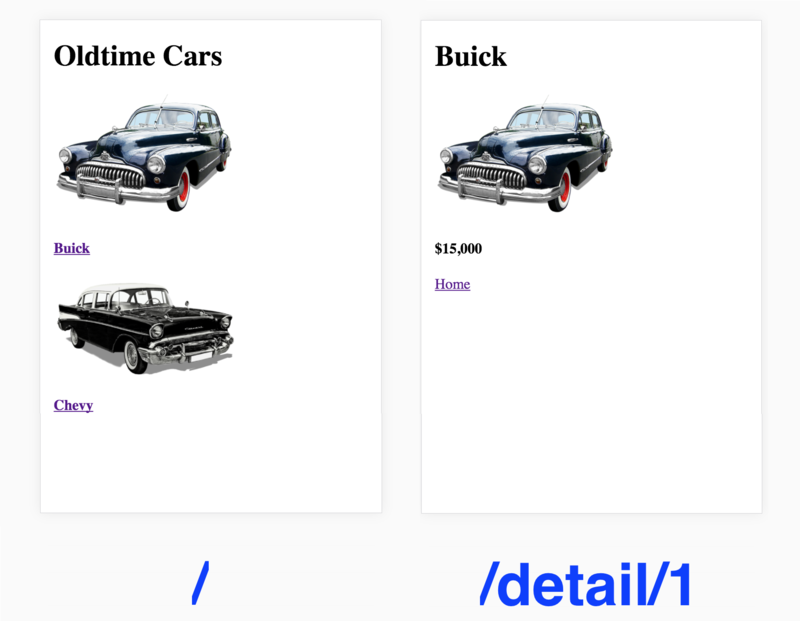 In this post, we'll look at a design pattern that makes it easy to inject initial application state into the head of the HTML page, and allows for a lot of flexibility. Using this approach can get messy, though, if your app has different routes requiring different initial state. In this article, I'll demonstrate a design pattern that makes it very simple to implement this injection approach, and allows for a lot of flexibility, even in multi-route apps. This app uses Vue Router to handle page navigation. Each page needs data from the backend (e.g. the name of the car model, the price, etc. ), so a mechanism for sending it between Vue and Laravel is required. The standard design pattern is to setup API endpoints for each page in Laravel, then use Vue Router's beforeRouteEnter hook to asynchronously load the data via AJAX before the page transitions. 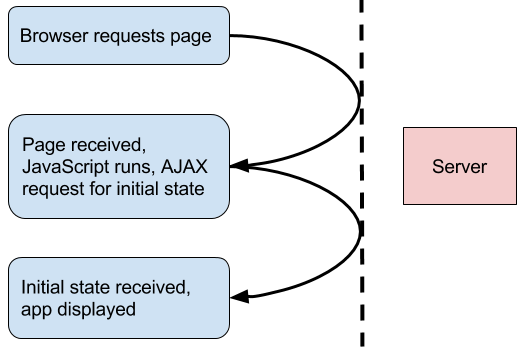 How can we determine what initial state to inject into the page request since we don't know what page the user will initially land on? But route changes from the browser, e.g. the URL bar, or links to the app from external pages, cannot be intercepted by Vue Router and will result in a fresh page load. The frontend of the app uses a standard Vue Router setup. I have a different component for each page, i.e. Home.vue and Detail.vue. Note that the router is in history mode because I want each route to be treated separately. Adds a beforeRouteEnter hook to each page component. When the app first loads, or whenever the route changes, this hook is called. It, in turn, calls the getData method. The getData method loads the injected state and inspects the path property. From this, it determines if it can use the injected data, or if it needs to fetch new data. If the latter, it requests the appropriate API endpoint with the Axios HTTP client. By implementing this mixin, the page components have the required logic to get their initial state from either the data injected into the page, or via AJAX, depending on whether the page loaded from the server, or was navigated to/from Vue Router. By loading initial application state from within the page rather than from the API, the time to first meaningful paint went down to 2050 ms, a 25% improvement.